Universal generating function (UGF) technology is the basic approach to reliability evaluation of multi-state systems. For products with high reliability and long lifetime in practical engineering, their system structure is usually uncertain and the external working condition is extremely complex. Thus, accurate failure or degradation data of components are difficult to define. Data are often characterized by types of randomness, probability, grey, fuzzy and other uncertain numbers. Based on interval grey number, the concept of generalized uncertain number is proposed. In this paper, we first unify arbitrary type of uncertain numbers, propose the definition of generalized standard uncertain number and study algorithm such as addition, subtraction, multiplication and division between them. Based on generalized standard uncertain number, generalized universal generating function, which is an extension of fuzzy UGF, is proposed. Several commonly used generalized universal generating operators are discussed with system connection structure between components. According to the relationship between output performance and system demand level, reliability indexes such as availability, expected output performance and mean performance deficiency are evaluated. Comparisons in a real case show the effectiveness of the proposed approach. 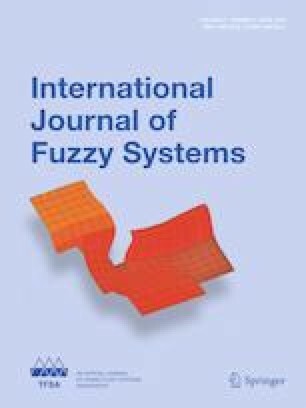 Therefore, relevant results can strengthen the theoretical research depth of uncertain reliability and definitely expand the application scope of fuzzy universal generating function. This work is supported by the National Natural Science Foundation of China (Grant Number: 71671091), the Marie Curie International Incoming Fellowship within the 7th European Community Framework Program (Grant Number: FP7-PIIF-GA-2013-629051), China Postdoctoral Science Foundation (Grant Number: 2018M630561) and the Open Fund of Postgraduate Innovation Base (Laboratory) at Nanjing University of Aeronautics and Astronautics (Grant Number: kfjj20170906). The authors are grateful to the Editor-in-Chief, associate editor and two anonymous reviewers, and their suggestions are very valuable and helpful to improve this paper.